Critically acclaimed author Diana Wagman brings us the suspenseful and emotionally exhilarating story of a woman facing death today, as well as thirty years ago. Fiona's marriage is crumbling, and she has recently been diagnosed with breast cancer. Caught up in a wave of memories as she faces her own mortality, Fiona recalls the previous times in her life when she nearly died, including a fateful boat trip with her former boyfriend, Luc. Fleeing her struggling marriage, Fiona rendezvous with Luc. In the process, she relives the harrowing boat trip from three decades earlier, which permanently altered her life. Now that Fiona desperately needs Luc to save her, will he be the man she remembers? Or will she discover heartbreak again? 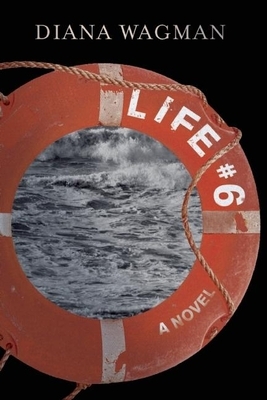 An adventurous and stirring tale inspired by Diana Wagman's own experience at sea, Life #6 explores the hope and folly of youth, how we react when we're pushed to the brink, the regrets of love lost, and the many ways we die and are renewed throughout our lives. Diana Wagman is the author of four novels and numerous short stories, essays, and reviews. Her second novel, Spontaneous, won the PEN West Award for Fiction. Her most recent novel, The Care and Feeding of Exotic Pets, was a Barnes & Noble Discover Great New Writers selection and was reviewed by the New York Times, Los Angeles Times, and Wall Street Journal, among many others. She lives in Los Angeles, California.